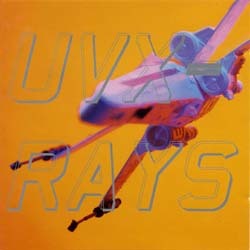 UVX had received great critical acclaim following their debut album and their live shows and this second album allowed them to further develop their sound. Included on this album is 'African Sun' which soon become a regular favourite at whirl y gig. The album also include one of our faves - 'Party State' - a great uplifting experience, and also includes 'It Just Takes Time' which samples the Magic Mushroom Band.